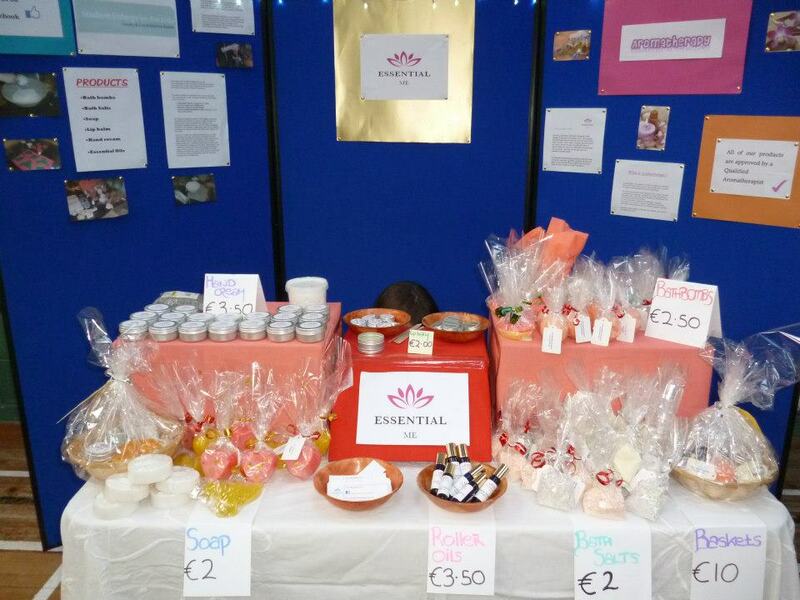 If you are around Collooney tomorrow pop into the Food Fayre and say hello to the girls at the Essential Me stall. They are a Transition Year Mini Company in the Student Enterprise Competition 2012. They produce aromatherapy beauty products such as bathbombs, soap, lip balm, handcream, relaxing oils and scents etc. which can all be used as great gift ideas or general daily use. All of the products are handmade and produced, and they are all approved by a qualified aromatherapist. I can highly recommend them, they smell gorgeous.